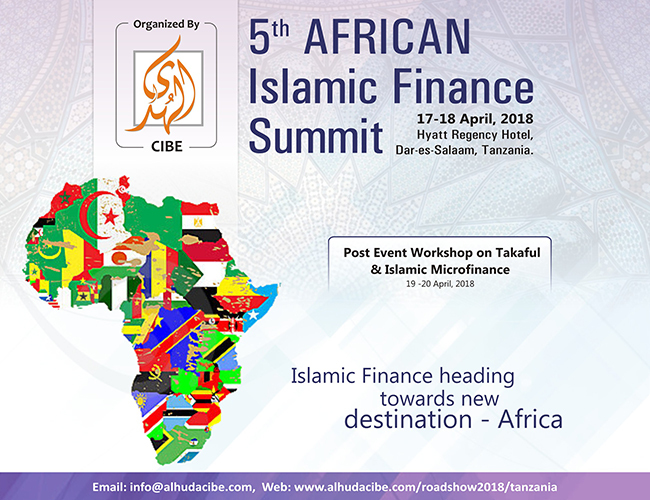 (March 29, 2018 (Dubai)): AlHuda Centre of Islamic Banking and Economics (CIBE) is honored to organize 5th African Islamic Finance Summit in Tanzania. The event is successfully held for many years in Tanzania for the betterment of the socio-economic conditions of the rural and urban areas of the country. It will be held at Hyatt Regency – The Kilimanjaro, Dar-es-Salaam, Tanzania on 17th and 18th April 2018. The summit will be followed by Post Event Workshops on Islamic Insurance and Islamic Microfinance on 19th and 20th April 2018. More than 15 international speakers would give their valuable contribution against the topics of discussion. The banking and financial industry of Tanzania and the surrounding areas will actively participate in the conference to gain ample knowledge of the Islamic financial sector and solutions to the escalating problems of the society. The event is supported by Tanzania Association of Microfinance Institutions (TAMFI) and Tanzania Insurance Broker Association (TIBA) and there are many supports in queue. Sponsors of the event include Islamic Corporation for the Development of the Private Sector (ICD), Amana Bank, Azam Bakhresa Group, KCB Sahl Bank, Akhuwat and many more to come. The event will be inaugurated by the esteemed chief guest from the ministry of finance. Participants are high profile personnel for 20 countries e.g. from central banks, banking and financial sectors of Tanzania and rest of the African countries, microfinance and insurance industry. Mr. Muh. Zubair Mughal, CEO, AlHuda CIBE (the organizers of the event) thanked the supporters and the sponsors in advance for their continuous trust on them and the unprecedented support for the event that is much needed to achieve the milestone. He further said that today more than five in 10 Tanzanians (54%) are financially included, mainly through mobile money accounts (53%). Tanzania has a largely rural population, which makes access to financial services a challenge and digital solutions ideal. The World Bank reports 70% of the population resides in rural areas, and FII data shows that less than one-third (29%) of the rural population have active accounts (used in the last 90 days), whereas urban citizens are twice as likely to have actives accounts (61%). Approximately 76% of Tanzanians live on less than $2 per day, with three-quarters of Tanzanians employed in the agriculture sector, according to World Bank data. Making gains among these groups is key to improving Tanzanians’ financial lives. 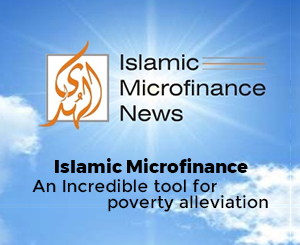 He said that Islamic banking and finance is the best alternative to change the lives of the poor. Investing in Islamic Banking and Finance could mean greater foreign investment that could result in enhanced global connectivity, improved job creation, socio-economic development and poverty alleviation. It provides an excellent opportunity for Africa and the rest of the world to develop strong knowledge of Islamic Banking and Finance procedures that will create genuine global opportunities for the long term development of this growing and increasingly transcending financial sector. The main objectives of the summit include e.g. recognizing significant developments in Islamic Financial Infrastructure of Africa, linkages of African Islamic Finance industry with international financial market, demonstration of the flexibility of Islamic Financial markets during recent financial crisis, share the best practices of the international Islamic banking market with African Islamic finance Industry, assessing innovations in Islamic financial markets through the growth of newly developed research based products etc. The event is open for the public with very nominal entrance fee. It is highly recommended that more and more organizations, companies and banks join the summit in order to gain the maximum benefit from this international event in Tanzania.